You know aerobic exercise is important for your health and weight, but you dread getting on the treadmill because it's so boring. Problem solved. Slip on your headphones and listen to your own personal sports coach take you on an inspired journey toward greater health and fitness. Within minutes you'll be stretching, walking, laughing and maybe even dancing for joy. An intoxicating fusion of world beat rhythms gradually accelerates your pace while high beta brain waves focus your mind and give you that extra boost of energy you need. Customers say they're addicted to our workout programs. 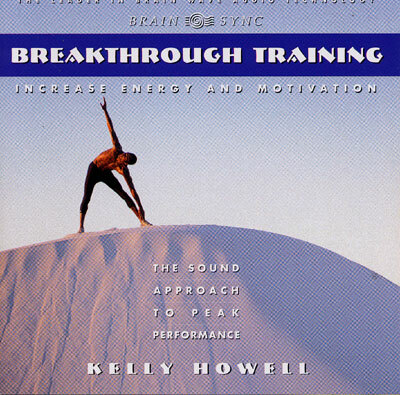 Use Breakthrough Training for any kind of exercise, walking, biking, running, weight training, and certainly dancing! It's like nothing you've ever tried before!